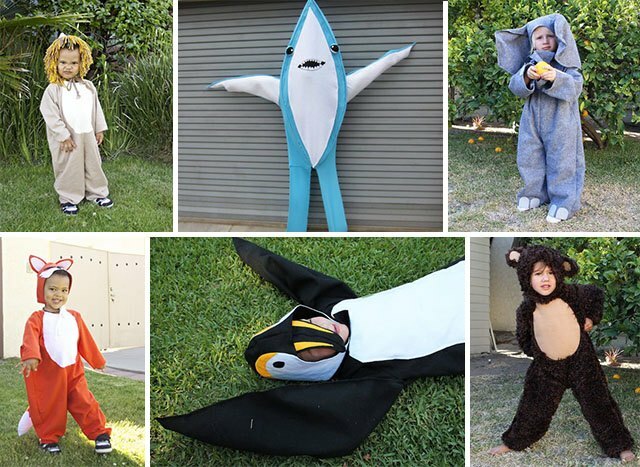 If the thought of hand-making a Halloween costume for your child is spine-chilling, these simple DIY ideas are here to convert you. With basic materials you can find at your local craft store and free templates, you can easily make your little one the star of the block. 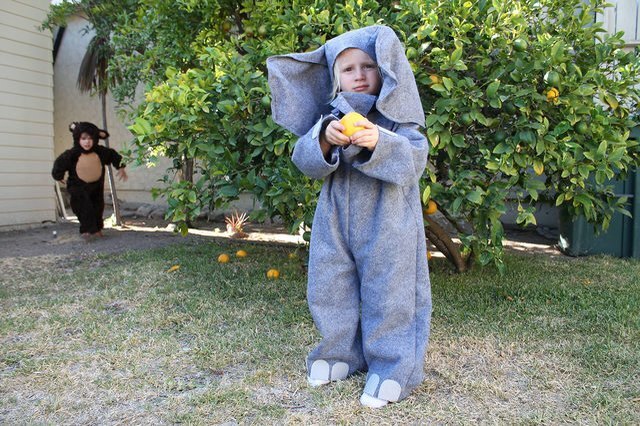 A few yards of grey felt turns your kid into the cutest elephant. From the floppy ears, the textured trunk, down to the elaborate hooves, this costume will be a hit at every candy stop. 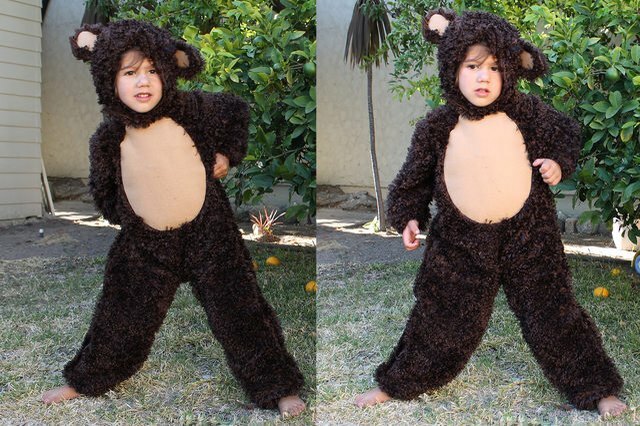 Your kid can play grizzly bear for the day in this costume that's fashioned with furry brown fabric. If your little bear gets too hot, simple take off the detachable hood. No whining cub here! This costume is detailed down to the beak, but it’s surprisingly simple. 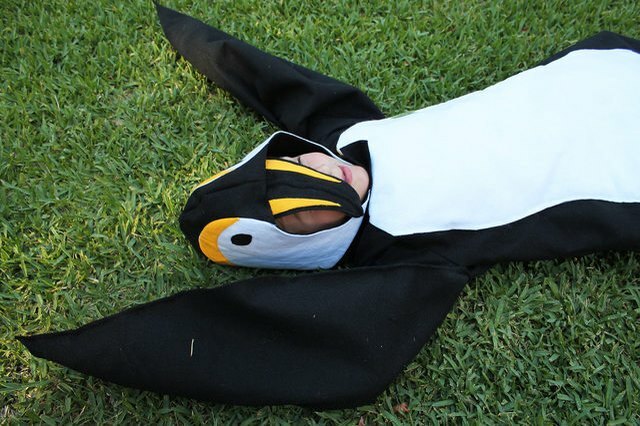 Teach your child the penguin waddle to top off the trick-or-treat disguise. 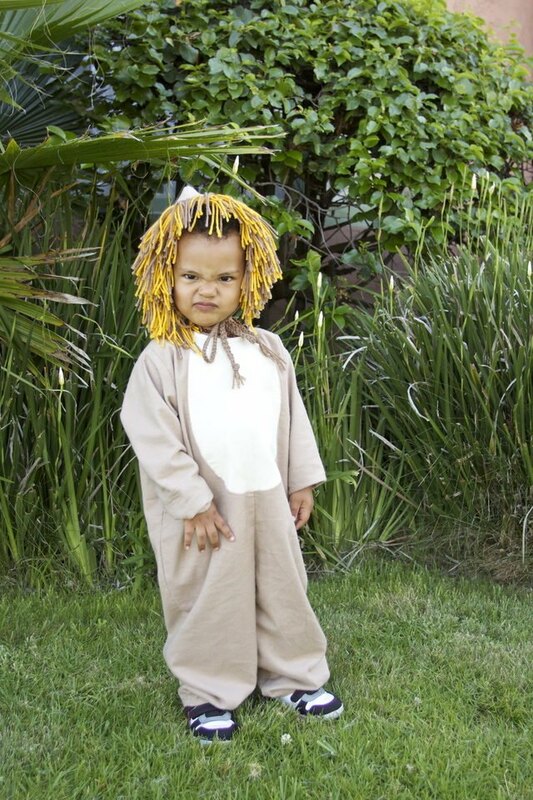 This lion may be way too cute to be considered ferocious, but your child will still have fun getting in the spirit and screaming, “Rawr!” The mane and dragging tail are two details that make this costume too darling not to photograph from every angle. Consider this a shark encounter you don't want to miss. 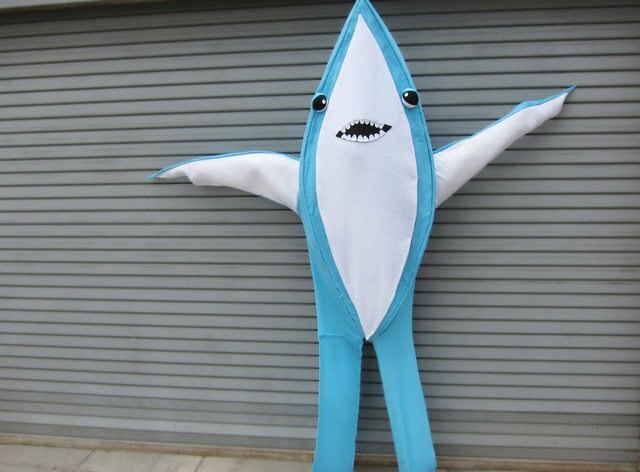 Your child’s legs can move freely in this ensemble, so just watch out for those sudden shark moves. 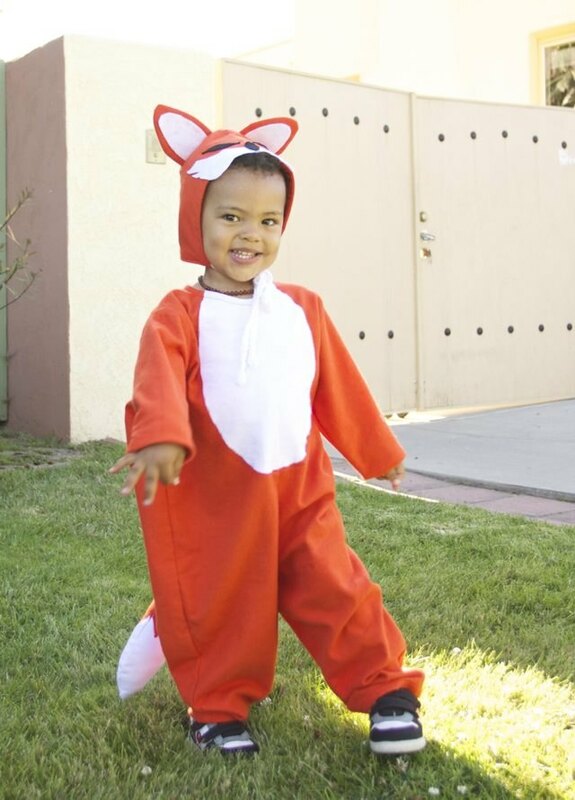 This foxy number looks like it jumped right out of a children's book. We suggest you make the entire costume, but if you're short on time (or energy) the hat alone is a wily look for your toddler.